When you switch to the NBN, your power supply unit will come with a back up battery in case of a power outage. This back up battery has approximately 5 hours of charge and without it, or if the battery is flat or faulty, you will not be able to access the phone or internet should the power go out. When it's time to replace the backup battery, your power unit will alert you by producing an alarm sound - one beep every 15 minutes. The 'replace battery' light on your unit will also illuminate. Hearing 4 beeps every minute? This means that less than half of the battery charge remains. 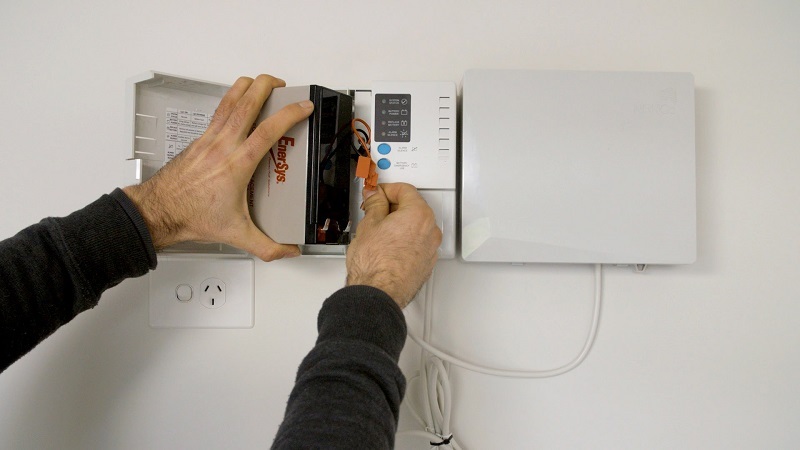 At Batteries Sunshine Coast, we can provide and install replacement NBN backup batteries for homes and businesses 24 hours 7 days. The process can take up to a maximum of only 10 minutes and will provide you with peace of mind knowing that in an emergency, you will have full access to your phone and internet. Need quick and affordable NBN battery replacement on the Sunshine Coast? Get in touch with our friendly team today to book an appointment. The process of replacing your NBN backup battery is very fast, typically taking around 10 minutes to complete. Please be aware that the technician will need to disconnect the unit before replacing the battery, so you will not have access to the phone or internet during the replacement service. Once your NBN battery replacement service has been completed, you can either keep your old battery or our technician can take it off your hands to be recycled. Need your NBN battery replaced on the Sunshine Coast? Get in touch with our friendly team today to book your service. We can come to your home or place of business 24 hours 7 days.